Caroling on the Hill - We Are Walnut Hills! Travel to a few corners in the neighborhood to sing some classic Christmas songs! 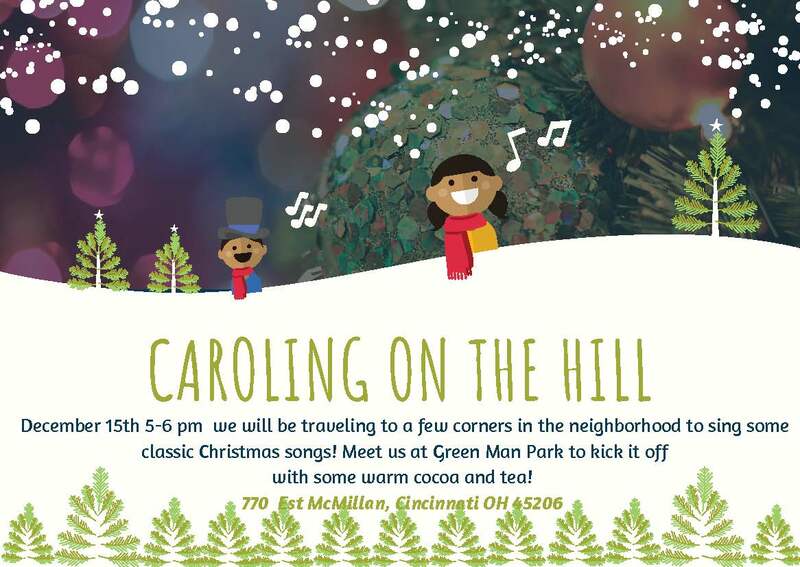 Meet us at Green Man Park to kick it off with some warm cocoa and tea!